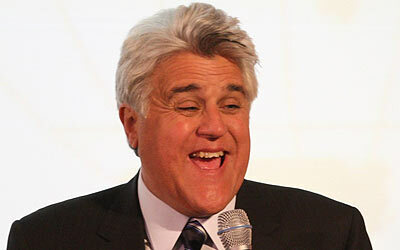 On March 12th, Jay Leno, host of the Tonight Show, will be performing at Mystic Lake Casino near Shakopee. Tickets for the show are $75. Think about that. In many ways, what I do for a living is the exact same thing as what Jay Leno does. He, and I, stand up in front of a group of people and talk. It is as simple as that. We both, of course, have other things to do besides that, but pastors are called primarily to preach and teach, getting up ahead of people and talking; the same as Jay Leno. Now I have never attempted it, but even if I did, I don’t think I could get a gig like that at Mystic Lake Casino for that kind of money. I know Leno doesn’t get to keep all $75 of every ticket sold, but I am sure a good share of it goes into his pocket. After all, he makes $30 million a year, and that has to come from somewhere. Most preachers earn less than that. I do have to admit, though, it is simply a matter of supply and demand. There is only one Jay Leno, whereas preachers are a dime a dozen. Jay Leno is one of a kind because he truly is such an excellent speaker– his timing is great, he interacts well with people in the audience, he is great off the cuff, and he has good material, some of which is a bit too crude for me, but really funny stuff, right out of today’s news. His material is always fresh and current and has to do with what is happening right now. But like all preachers, I am always using old material, out a 2,000 year old script, preaching on words and stories you’ve all heard dozens of times before. “Hey, have you heard the one about how Jesus walked on water?” Of course you have. It was a great miracle, to be sure, and there are important lessons to be learned from it; but you know the story, and you’ve heard all the lessons. And I’ll be the first to admit that my sermon delivery is anything but smooth and polished. I always have to have my notes ahead of me and my posture can be a little stiff, whereas Leno is such a natural that he gives the impression that he is making it all up as he goes. However, as a preacher of God’s Word, I have something that Jay Leno doesn’t have. I have a message that matters. Preachers are a dime a dozen because what we do is not dependent on who we are, or on what skills we have, or on how brilliant we are, or on how polished our delivery is. What we do, and what we have to proclaim is a message from outside of ourselves, from God; and unlike anything you will hear on the Tonight Show or the Late Show or from Larry the Cable Guy or on Saturday Night Live, unlike any of those entertainment options, what you get from one who proclaims God’s Word is a message that matters, and it matters for all eternity. My wife and I used to watch the opening monologue on the Tonight Show almost every night. These days, however, neither of us can stay awake even through the entire 10:00 news, so we hardly ever see the Tonight Show anymore. And do you know what? It hasn’t mattered! We don’t miss it, and we are no worse off because we never see it. Hearing Johnny Carson’s jokes, and then Jay Leno’s jokes, four or five nights a week made us laugh for a few minutes, but then that was it. Missing it has not changed our lives at all. But if you were to take the Bible away from me, that old script that I read each day and preach out of each Sunday; if you were to take that away from me, I would be lost. Without that Word of God, and the hope and the promises and the love of God there revealed, I would be hopeless, and you would too. There is much in my past that I regret and am ashamed of, things that I should have done differently, should have said, or, should not have said. Do you have any such regrets? God’s Word tells us that Jesus Christ died on the cross for the forgiveness of our sins, and we need that. And this is a dangerous and sad world, and there is much to fear, much to worry about. I see my little grandchildren, and I am afraid for them. I’m on the downhill side of my life now, but they have to put up with this wicked world for a long time yet, and I fear for them. But the Bible says in 366 different places, “Fear not.” “Fear not, for God is with you.” “Cast your cares upon God, for he cares about you.” Even though we may now suffer for a little while, Peter tells us, the Lord will be with us, and will sustain us, and will make us strong, firm, and steadfast, if not here, then in his eternal home, where he will set us on our feet again. Therefore, even in the face of awful death, that death of a loved one that can shatter our lives like nothing else, even then we have a word, an old familiar word: “For God so loved the world that he gave his only begotten Son, that whosoever believes in him shall not perish, but have eternal life…” Not perish. Have everlasting life. That is a hope that can sustain you no matter what. You take that away, and we are lost. 1 Corinthians 2:1-5 — When I came to you, brothers, I did not come with eloquence or superior wisdom as I proclaimed to you the testimony about God. For I resolved to know nothing while I was with you except Jesus Christ and him crucified. I came to you in weakness and fear, and with much trembling. My message and my preaching were not with wise and persuasive words, but with a demonstration of the Spirit’s power, so that your faith might not rest on men’s wisdom, but on God’s power.